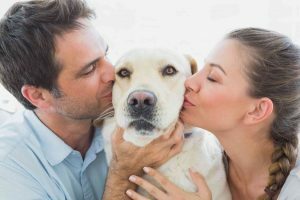 There’s a lot that goes into owning and loving and caring for a pet. There’s a lot that goes into owning and loving and caring for a pet. We all know they can have effects on the home, but have you ever thought about how they can affect your plumbing? If you want to protect your plumbing, here are 5 ways that you can do that. If you are planning on giving your pet a bath, using a stopper or strainer to block animal hair from entering the drain is a key way to protect your plumbing. Some animals, especially dogs, can have thick, coarse hair and love to shed. Using a strainer or stopper can help block animal hair, which will help prevent clogging. It’s not uncommon for dogs, and even occasionally cats, to try and drink from the toilet. This is unsanitary and can also be bad for your pet. The residue left from toilet cleaners and other chemicals are unhealthy to ingest for your furry friend. While many brands of cat litter claim to be flushable, they actually can build up in your toilet over time and cause clogs and otherwise gum up your plumbing. In order to avoid toilet clogs, only flush waste and toilet paper. There are many things which claim to be flush friendly, which are in fact not. While digging can ruin the look of your yard, if it gets deep enough it can cause a number of more complicated problems. In some areas, water and or sewer lines can be found as shallow as 18 inches beneath the surface of your lawn. If your dog is a digger, make sure they aren’t getting deep enough to cause this kind of damage. If you have ever been showering only to get scalded when someone flushes the toilet, you have experienced life without pressure balancing valves. These occurrences can make bathing a pet, which may already be a difficult process, even harder. Installing pressure balancing valves on your showers and sinks removes this problem entirely. This entry was posted on Friday, August 18th, 2017 at 5:01 pm. Both comments and pings are currently closed.